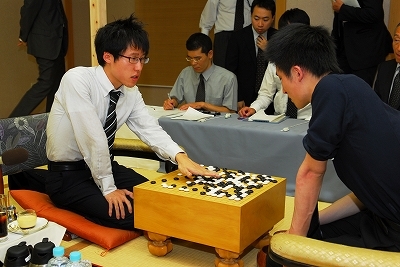 Iyama Yuta won the second game of the Meijin title match by resignation, thus evening the score so far. The game record is here. 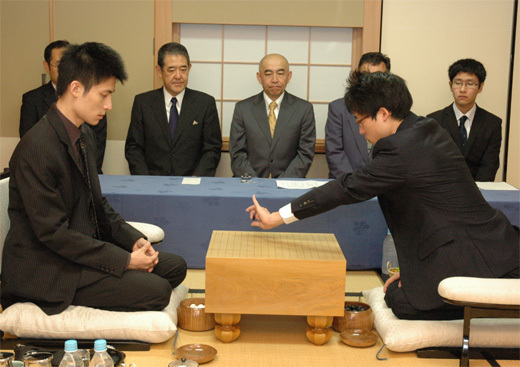 The beginning of the game looked strange to me – Cho U (white) built a lot of central influence by choosing to play two avalanche joseki, but all that influence got ruined pretty quickly… at least that’s my perception. Complete tournament table here. Game three will be played on September 24th and 25th.